Premium optics offer optimal power and brightness. Sleek narrow lights fit almost anywhere. nForce is the only Perimeter Lighting product on the market that can be specifically tailored to your unique requirements. The Predator 2 product line is our most advanced professional safety lighting with our exclusive Extreme Angle engineering. Nearly 180 degrees of wide angle light output almost double the average competitors light output! Narrow design recess mount lights mount flush against the vehicle for subtlety while still providing a wide angle light for safety. Most are available with a variety of housing colors. 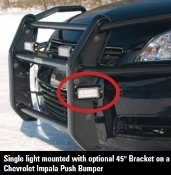 Look here for mounting solutions for your warning lights. Rooftop, surface, pole mounting, and other kits available. Not sure? Just contact us and we will help you find the mount that is right for you. 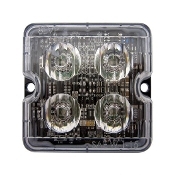 Surface mount LED lights offer the greatest flexibility with light placement and angle. Built with rust and corrosive resistant materials they are built to withstand the weather and harsh cleaning agents. 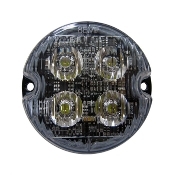 Deck/grille mount lights offer bright LED output and a tough outer housing. Crisp edges and sleek silhouettes minimize size and integrate with new vehicle styling. With permanent and suction cup mounting options available windshield lights are a safe and highly functional emergency lighting option. 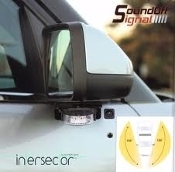 Mirror mount, Undercover, Cargo and Fender lighting options among others.